A spokesman for the Marrakesh Country Club in Palm Desert, California has confirmed that former silent film star Barbara Kent died October 13. 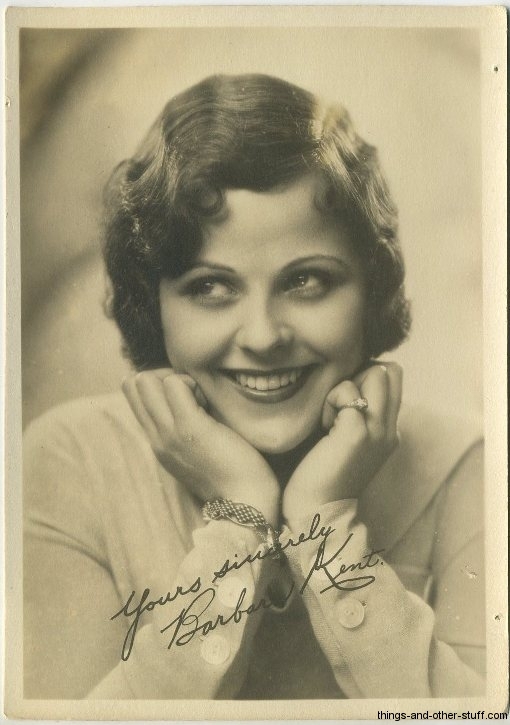 Kent was born Barbara Cloutman in Gadsby, Alberta, Canada on December 16, 1907. She and her family moved to California when Barbara was 13. 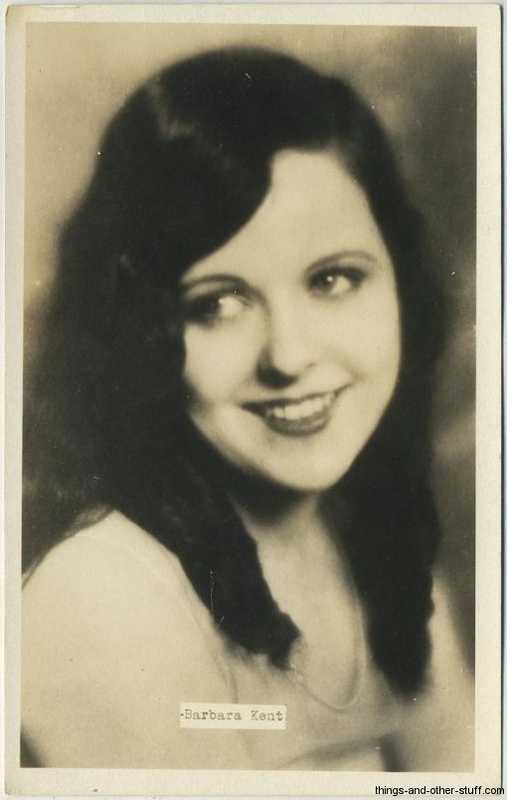 1925 was a big year for Miss Kent as she graduated high school and won that year's Miss Hollywood contest. 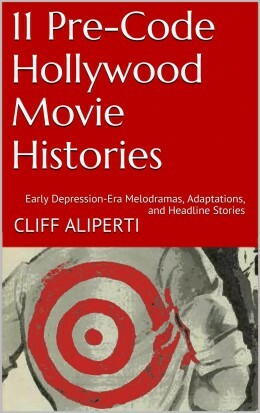 "I won the contest and that's what led me into films" (156), Kent told Michael Ankerich as published in his book, The Sound of Silence. Michael Ankerich, who's previously been interviewed on this site, managed to track Kent down for a rare interview in 1997. She was out golfing the first time he called (155). His Kent entry in The Sound of Silence is the most complete coverage of Barbara Kent's life and career available. 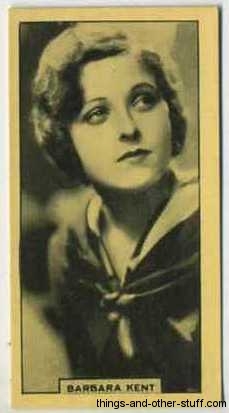 She changed her name to Kent, her mother's maiden name, upon signing with Universal who soon loaned her to MGM to appear in Flesh and the Devil (1926) starring Greta Garbo and John Gilbert. Kent was named a WAMPAS Baby Star of 1927. Flesh and the Devil along with the Harold Lloyd features Welcome Danger (1929) and Feet First (1930) are her most recalled film appearances today. 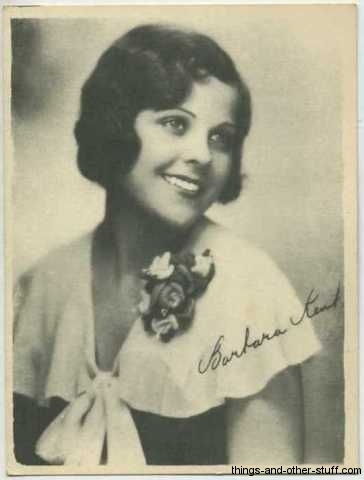 The transition to talkies was no big deal for Barbara Kent. She told Ankerich "I knew talking pictures were to stay and I accepted it" (159). She didn't worry about the new medium because she had confidence in her voice. 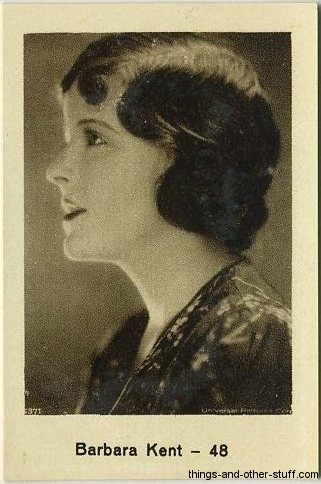 She appeared in Indiscreet (1931) with Gloria Swanson and had a smaller part in Emma (1932) starring MGM's top box office star Marie Dressler. 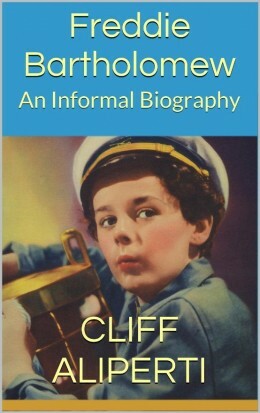 Despite Kent's confidence her career went on the wane and she was soon appearing in Poverty Row films including, most notably, Monogram's Oliver Twist (1933) starring Dickie Moore in the title role. In 1932 Barbara Kent married agent Harry Edington. 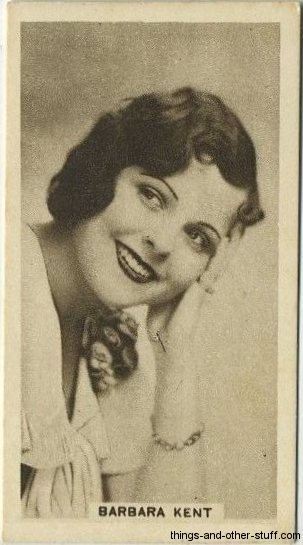 She appeared in a few more movies after her marriage with her final work being released in 1935. Edington died in 1949. She re-married Jack Monroe, an engineer at Lockheed, in the 1950's. She prevailed upon her new husband to give her flying lessons and as Monroe told Ankerich, "Before I knew it, she was flying" (162). 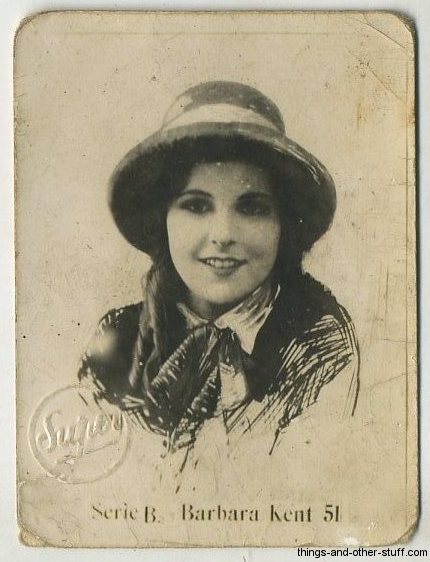 Post-Hollywood Barbara Kent lived for many years near Sun Valley, Idaho and later in Washington State. Causes of her death were undisclosed, but Barbara Kent certainly lived a long and, from the tone and content of Ankerich's interview, satisfying life. Most of the coverage of Kent that you'll find around the web notes how she didn't care to talk about her Hollywood career. Giving Miss Kent the last word as she spoke to Ankerich: "I was never crazy about the picture business and was not enthusiastic at all about being an actress" (162). Ankerich, Michael. The Sound of Silence: Conversations with 16 Film and Stage Personalities. Jefferson, NC: McFarland & Company, Inc., 1998.